Looking for A Voice for Your Video or Audio Project? Want a variety of voiceover accents? Our Voiceover Artists Can Record in a variety of accents! We support the following audio voiceover accents and can help you record your narrations or voiceovers in these accents. British Accent Voiceovers: Being based in the UK, we are experts in British Accent Voiceovers. V1 Technologies has helped hundreds of companies worldwide to record their narrations for their promotional videos or other audio projects. American Accent Voiceovers: British and American accents differ considerably and only experts have the right accent. 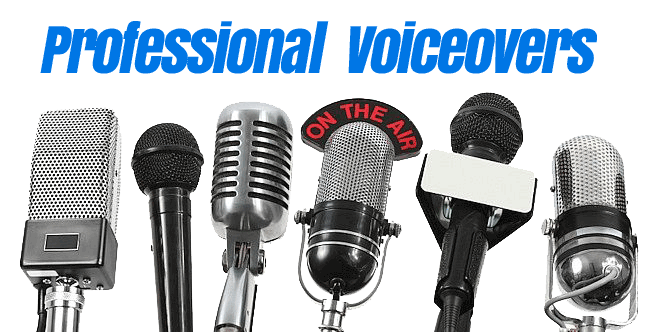 Our team of American voiceover artists can get your voiceover recorded accurately. Indian Accent Voiceovers: Planning to expand your market to India? Looking for Indian Accent Voiceovers? We are here to help you! We have the best Indian accent voiceovers, so you can surely win the Indian markets with our voiceover services. Contact us to get started. Hindi Audio Voiceovers: Want a voiceover recorded in Hindi? You have come to the right place. Contact us and get your Hindi Voiceover recorded in less than 2 hours. All Other Accent Voiceovers: We also specialise in other voiceovers like Scottish accent voiceovers, Irish accent voiceovers, Urdu voiceovers, Punjabi audio voiceovers and many more. Contact us for details.